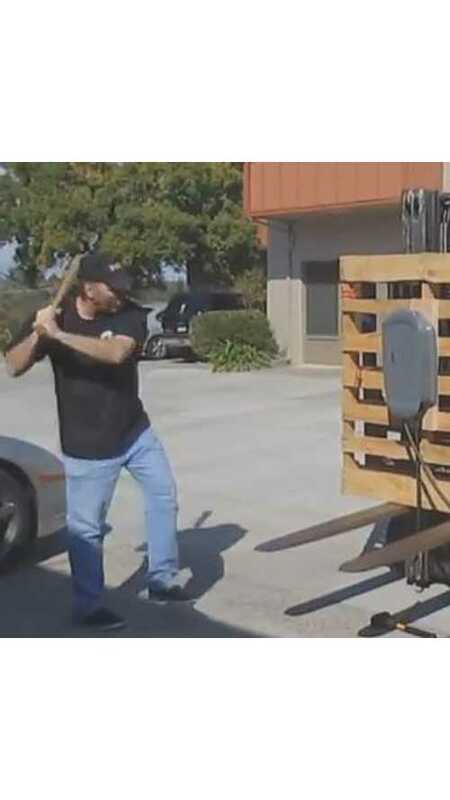 It's Friday fun day here at InsideEVs, so why not post video of a charging station getting abused? How's thew charger fare against a rubber mallet? A mallet is certainly no match for the HCS-40. How 'bout a hammer? Try again. Surely a baseball bat will do it in, right? Watch the video. We think you'll be impressed. Hat tip to Jim Burness!! !